The arrival of the Holy Spirit was a game changer but what really happened in that upper room? Was it any different from the upper room we sit in right now? Jesus had commanded them to wait for the “power from on high”. In all, 120 people were waiting without being certain of exactly what they were waiting for. But wait, there’s more. 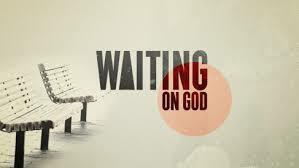 Jesus was also waiting–waiting for his people to step up and act, even now that they thought they were leaderless. They were all waiting. Most of us, if honest, hate to wait—for anything. We’re the first generation who can become annoyed because the microwave oven is taking too long. We want what we want when we want it. Right here in this room, we too are waiting. We’ve waited for babies to be born, for an adult child to move back, wait for houses to sell, waited for the school year to conclude. You’ve waited on medical tests, test results and surgery schedules. Waiting is anxiety producing. And not having all the answers instantly makes us crazy. So they did. Each one in his or her own corner of the room, waiting for power on high, waiting to reconcile themselves to each other and to God. Waiting until they had run out of their own “stuff” enough to trust God and release the outcome. And that is so hard. Salem is also in a time of waiting on the Spirit as we discern how God is calling us forward. We have a vision team that meets twice a month. What if instead we all sat in THIS room for ten days, no church, no liturgy? What corner would you go to? What issues might emerge? How long would it take before we cleared the space for the entrance of God’s power from on high, preparing us finally to go forward into God’s planned future? There is beauty in their willingness to wait with each other, living into the questions, not knowing what exactly they were waiting for. So when they moved out of their corners self-interest, the Spirit was freed to fill in the empty spaces like no back-draft they had ever experienced! In that rush of wind the Spirit touched each of them and in that moment they began to communicate and understand one other as never before. On that first Pentecost, they trusted God enough to wait, they trusted the process of not giving up until something happened, and they leaned into that process until they were changed as much by the process as they were the outcome. Now that is good stuff! Each of them AND each of us holds a unique vision and represents a unique reflection of God in the world, which allows the Holy Spirit to function as a universal translator, a still small voice with the ability to bring us together as we find ways to live in community, doing justice together, all while making us a sanctuary for the healing of those who come to us broken. God had a plan then and God has a plan now. Word up. God’s got this. To live as Pentecost people means opening ourselves up to the spirit, knowing that no matter what is before us, individually or together, the Spirit of the living God can and will fall fresh on every need.